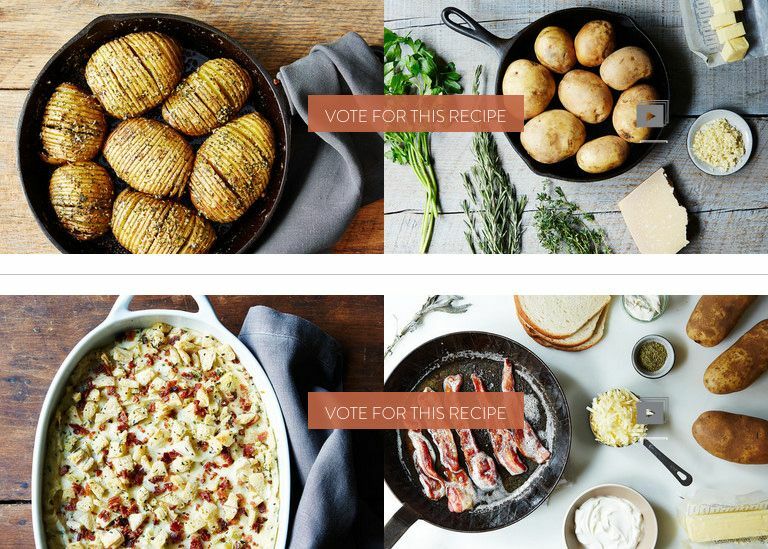 The Finalists are in, and we want to know -- which recipe is your pick for Your Best Recipe with Potatoes 2.0? We've tested and tasted our way through the recipes for Your Best Recipe with Potatoes 2.0, and have emerged with two promising finalists: Hasselback Potato Skillet Bake from Kat Suletzki and Cheesy Potato and Bacon "Brown Betty" from Sippity Sup (Greg Henry). Here's where you come in: We want to know which finalist will win your vote. Head over to the contest page and cast your vote!